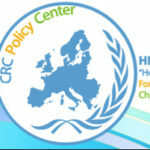 Katerina Melissari is working alongside the "Hope For Children" CRC Policy Center as a Child Protection Officer. She studied Law at the National and Kapodistrian University of Athens and attended a series of conferences regarding the status of both immigrants and refugees. She has been volunteer at the "Greek Council of refugees" NGO and a short-term associate of the "Mesogeios SOS" NGO. 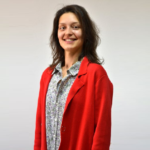 She has worked at law firms, specialized in migration legislation and also as a Child Protection Officer at the ARSIS Transit Shelter for Unaccompanied Minors in Thessaloniki. In May 2017, she was employed by the Regional Asylum Office of Thrace (Greece) as a Case Officer.